- Everything you need to know when starting to choose and smoke your first cigar. Cigars have been around for decades, dating back to before Christopher Columbus made the cigar more popular in mainstream culture. Native Caribbean's rolled up and smoked dry tobacco leaves, when the explorers saw this they tried them and loved them so much they took the substance back to Spain which then introduced cigar smoking across the world. Eventually cigar smoking became wildly popular, especially among men in the 20th century. Cigars became Cuba's main export until the feud between Fidel Castro and John F. Kennedy happened due to the impending missile crisis. Cuban cigars, as well as all other Cuban produce, were made illegal in the United States as the President of America put a trade embargo in place, but, just hours before the ban was put into effect, John F. Kennedy had his secretary order around 1,300 H. Upmann Cuban cigars. 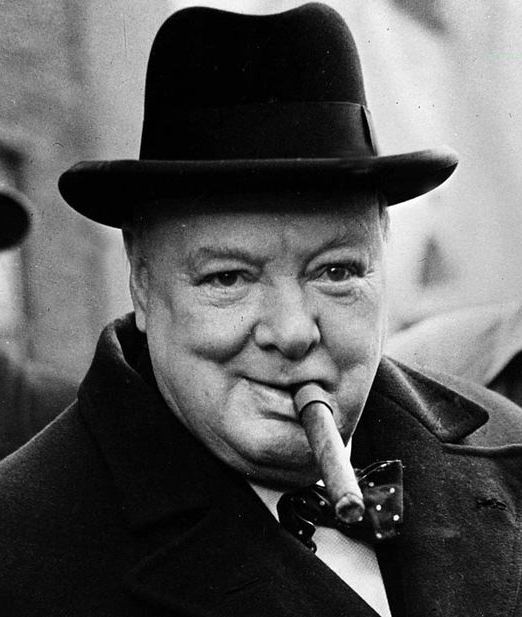 Another famous figure from history who also became a huge fan of cigars was none other than Winston Churchill, so much so that there are cigars names after him! What are the Different Types of Cigar? There are two types of cigars - hand rolled and machine made. Hand rolled cigars are usually made from 100% long filler tobacco leaves - The binder, filler and wrapper are all tobacco leaves. 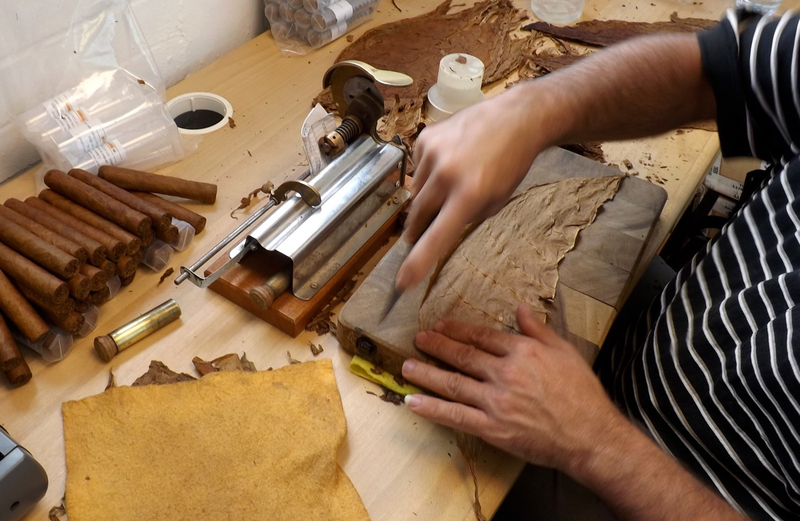 Machine made cigars are usually made with short filler leaves and other machine made cigars are made with preservatives and fillers which give the cigar a slightly different flavour to hand rolled. Tobacco for cigars is grown in several places around the world, but some of the highest quality tobacco comes from Cuba, the Dominican Republic, Honduras, Nicaragua and Peru. Usually people start with a light strength cigar, some cigars will simply be too strong for beginner cigar smokers, this will unfortunately immediately ruin the experience and could even put you off for life! Below are some select cigars we sell at C.Gars Ltd which are ideal for the beginner. Click here to try yours! 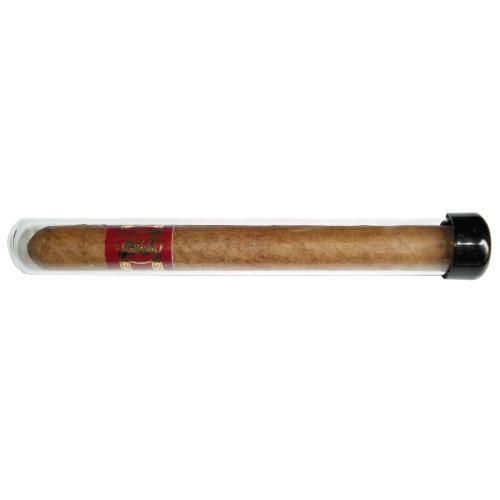 This cigar is creamy with hints of coffee and some nutty flavours as well. This small havana promises to have a good future. Attractive, good draw, thick smoke with complex flavours for such a small cigar. Simply excellent. Even sweeter blend! Full sweet flavour, light to medium strength, easy draw. Best value handmade cigar guaranteed or your money back. This cigar is creamy with hints of coffee. Small attractive Havana, good draw with complex flavors for such a small cigar. An excellent short smoking break cigar. Light to medium strength and a medium sweet flavour. The perfect 20-25 minute smoke. A small cigar perfect for lighting up when time is short. 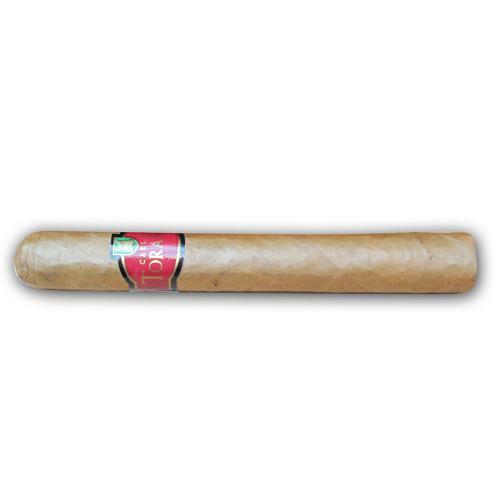 This size is produced for only one other Habanos, Hoyo de Monterrey, where it is called Le Hoyo du Depute. Enjoy its delicate flavour for around twenty minutes. Click here to try yours! 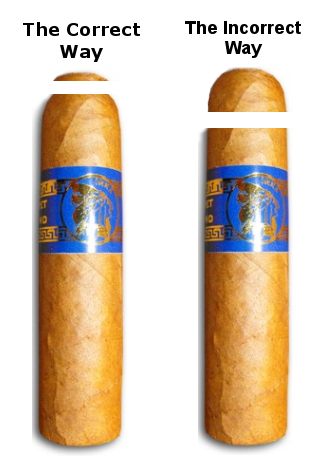 Medium strength cigar, with a hint of sweetness. Great draw and beautiful wrapper. Every time you light up a Macanudo Cafe you can rely on the same leisurely and pleasant experience. The Macanudo Cafe produces the same distinctive and characteristic mild fragrance for every smoke. This is an art that will maximise enjoyment of your chosen smoke. Every Havana is made from three components; filler, binder and a wrapper leaf that is sealed at the cigar's 'head' with a cap made from a piece of wrapper leaf. To cut a Havana, you need to remove most of this cap with a single slicing movement across the shoulders of the cigar. A guillotine cutter or special scissors are best suited to the task. The bottom section of the cap should remain, as it secures the wrapper leaf and, therefore, the contents of your chosen cigar. A cigar cutter is the best thing to use when cutting a cigar. These are easy to use and give an accurate cut. Our full range of Cigar Cutters are available via this link. Quite unlike lighting a humble cigarette, the noble Havana is demanding, and requires more time and attention. The fatter the cigar, the longer it will take, because you must be sure to light the whole of the foot to avoid uneven burning. 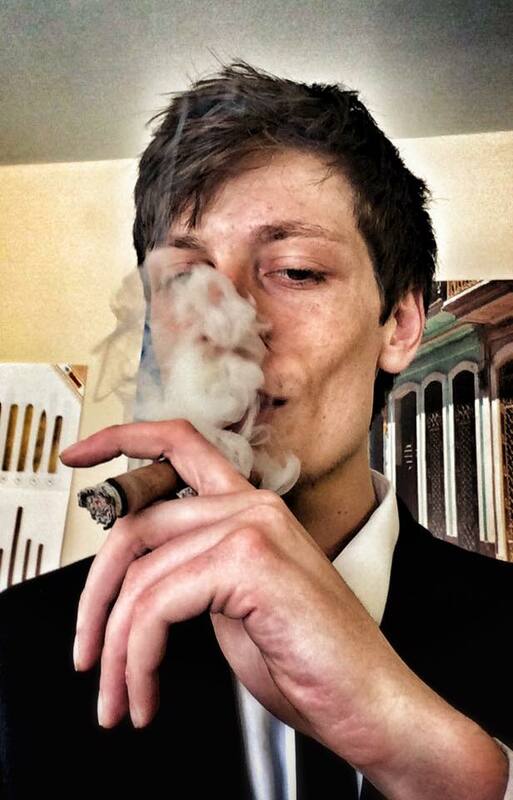 Cigars are also fussier in terms of the type of light used. Petrol lighters are to be avoided because their aromas interfere with that of the cigars tobacco. The best implements are the odourless flames of wooden matches (but let the head burn off first) and butane lighters. Appropriate flame in hand, you should first char the end of your cigar to increase the chance of its even ignition. Once glowing, gently blow on it to make sure that it is burning evenly. Further increase its chances by rotating the Havana in your fingers whilst drawing the flame onto the cigar. What is a Cigar Band and What Should I Do With It? The cigar band was introduced by the Dutchman Gustave Bock, one of the first Europeans to get involved in the Havana cigar industry, somewhat after the introduction of the cigar box and labels, and for the same reason: to distinguish his brand from the many others on the market. The band has another minor function, that of protecting the smoker's fingers from becoming stained (this was important when gentlemen wore white evening gloves). The cigar bands of older brands tend to be much fancier (with gold leaf in abundance) than those of modern brands. Those aimed at the very top of the market in particular Cohiba, Dunhill, Montecristo, and Davidoff, for instance-are all simple and elegant. The brands on non-Havana cigars with Cuban brand names tend to be similar to the Cuban original, although they vary in small details (a typical one being that they bear the date of origin of the brand in the space where the Cuban versions say 'Havana'). The question of whether to smoke a cigar with the band on or off is purely a matter of personal choice. In Britain, it has traditionally been considered a matter of "bad form" to advertise the brand you are smoking, an inhibition which does not apply elsewhere. If you insist on removing the band, it is best to wait until you have smoked the cigar for a few minutes. The heat of the smoke will help to loosen the band from the wrapper and will make the gum on the band less adhesive and easier to remove. 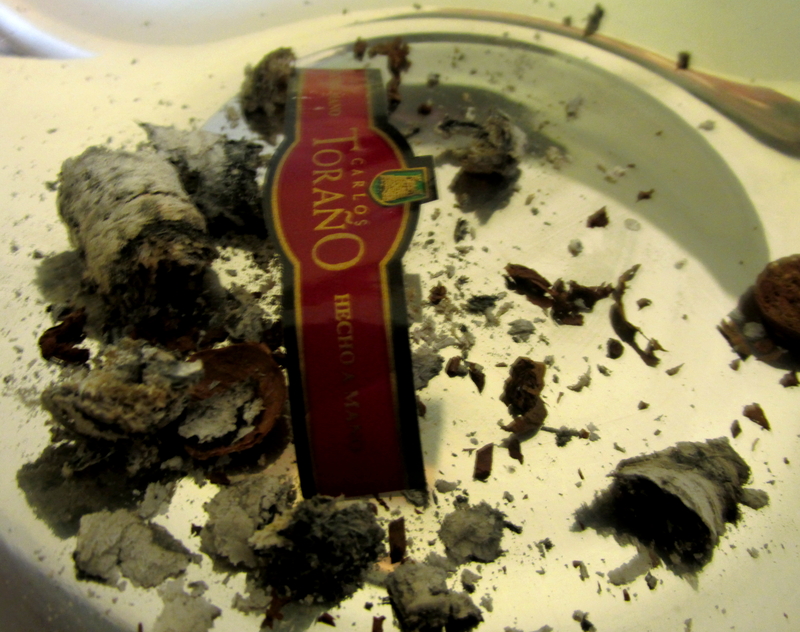 If you try to take the band off the cigar before starting to smoke it, you will risk damaging the wrapper. 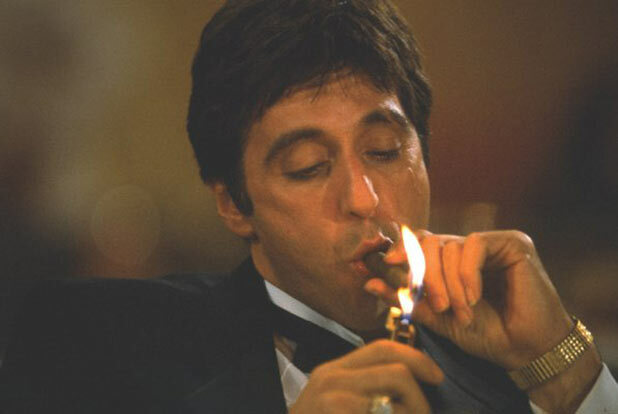 Smoking a cigar is different to smoking a cigarette. You do not inhale the smoke. Allow the smoke to fill your mouth, let it gently roll around for a few seconds, taste it and then blow it out. If you smoke a cigar too quick it will burn too fast and you won't get the full flavour intended. Smoke it too slow and you will have to repeatedly relight it. You are recommended to flick the ashes once they are around half an inch. Many people like to enjoy their cigars with a glass of Whisky. Different cigars pair well with different types of whisky but this is all down to personal preference, part of the beauty of the enjoyment of cigar pairings! Our full range of Whisky is available via this link. If you enjoy smoking Cigars on a regular basis you may want to purchase a Humidor. Humidors come in many different shapes and sizes and range in price from £40 to around £3000! However there are cheaper options if you don't want to keep many cigars at one time. You can buy miniature desk humidors to keep a very small amount of cigars fresh! Without a humidor cigars will dry out. This will make the cigar lose its flavour, burn quicker and peel and crack. Our full range of Cigar Humidors is available via this link. Once you've picked out your preferred cigar, pour your favourite drink and put on some relaxing music. The perfect way for a gentleman to relax!